Jagansnews: Everyone Must Vote - Your Vote Your Future! 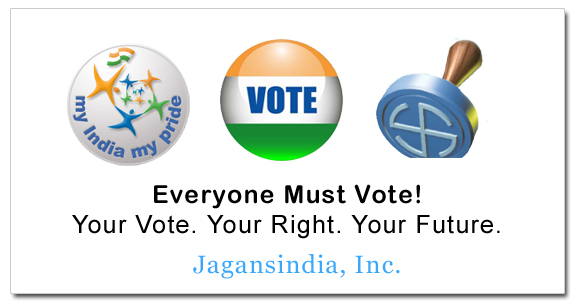 We are not from any party but we are requesting you to vote. Your Vote will make a Difference. Issued in Public Interest by Jagansindia, Inc.